Anne's Food: Oooh, ooooh, Opera Cake! While normally done in chocolate versions, we were asked to keep things light and spring-timey, and we were given recipes for almond cake layers, a neutral buttercream and a white chocolate mousse and glaze. I decided early on that I'd go with raspberries and pistachio, so pistachio-almond cake layers, a simple vanilla syrup, a raspberry buttercream, and a white chocolate mousse. I opted to skip the glaze - I feared it would make the cake overly sweet, and besides, I don't trust my frosting skills enough to pour a smooth glaze. 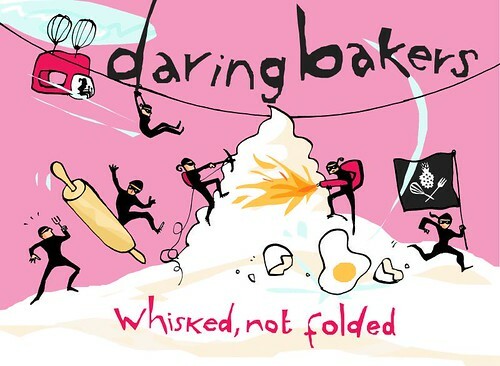 (Oh, we're supposed to be... daring? Sorry.) I added some whole raspberries for a nice, fresh and fruity touch. Syrup. I actually didn't make this, as I had some vanilla syrup in the fridge from previous experiments. Buttercream. I was a bit scared, because people in the forums had said that they'd had problems with this. I was in fact so scared that I turned to my own buttercream recipe, adapted from Rose Levy Berenbaum, instead. I didn't have quite enough unsalted butter at hand, so instead of the 225 g I used in that recipe last time, I only used about 185. No difference as far as I can tell, though. And I added cold-pressed raspberry extract rather than raspberry purée - and, the flavor is at least as good as when I used actual raspberries. Go figure! I did add a smidge of color as well, raspberry buttercream has to be pink, right? And no glaze. So for assembly, I moistened my cake layers, covered the first layer with raspberry buttercream and raspberries, placed the second layer on top, covered it with more buttercream and then frosted the sides as well. I refrigerated it until it was really firm, and then used the white chocolate mousse all over the cake. 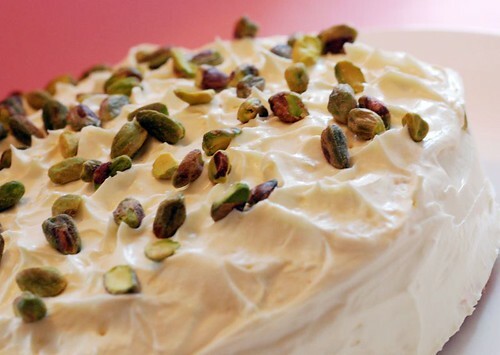 A final touch: a sprinkling of pistachios. This cake was a huge hit! I served it for my birthday party and everyone really loved it. I personally am not a big fan of buttercream in cakes, I find it too stiff and well, too buttery. But the whole raspberries lightened things up, and kept the cake from being too sweet. And the white chocolate mousse was delicious! You can find the recipes here, the blogroll here, and the discussion forums - open to everyone! - here. The four hosts this month was Ivonne of Creampuffs in Venice, Lis of La Mia Cucina, Fran of Apples Peaches Pumpkin Pie and Shia of Whiskful. Very beautiful! Your lovely cake looks delicious! Happy belated birthday Anne...the cake looks so pretty & good enough to eat off the screen! YUMMY...I loved reading your post! Whole raspberries and then pistachios....yummy!!! I like the your variety with the pistachios and raspberries. We love raspberries - wish I had thought of that! Beautiful cake! ROund -now that is daring! Great looking cake. It looks SO good! I want to take a bite! Beautiful cake! I bet the pistachios & raspberries went well together. I love what you did with the mousse! Mine wasn't stiff enough. Your cake looks yummy! I love the berries! The raspberries look delicious. Using them was a good idea to keep the sweetness down. Beautiful job! Lovely job, and so pretty! Bet it was yummy! Your cake is so pretty! And I love the flavour combo of raspberries and pistachios! Great flavor Ann. What a nice birthday treat. Looks great, Anne. very pretty indeed! OOooh indeed! This looks great! You couldn't go wrong with the raspberries! Looks lovely! It looks absolutely gorgeous! I love all the colors! Those pistachios...I could pick on right off the top! You made a great version of an opera cake. It looks delicious! Love the way you went with yours Anne! It looks wonderful! I'm loving the flavor combinations that people have come up with. Raspberries and pistachios... yum! Great job! 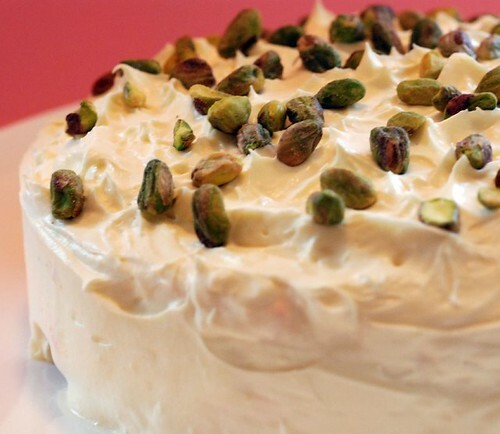 Your cake is so pretty - and I love the raspberry-pistachio combination! 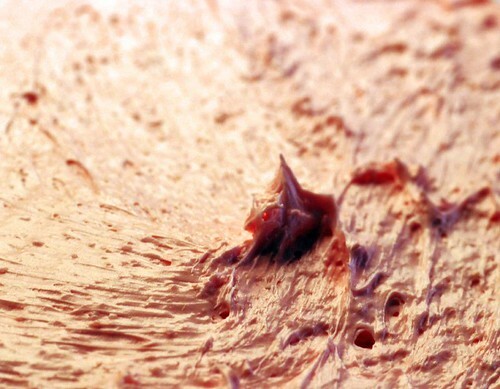 The mousse is such a beautiful finish for the cake, great idea! Happy Birthday - and what a beautiful cake! Great Job! Beautiful, and i love raspberry and pistachio. 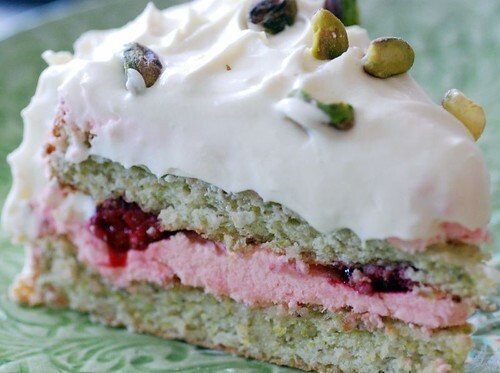 Mmm - I love the raspberry and pistachio combination! Hope you had a happy birthday! Even before I read it was for your birthday, I thought "That cake looks like a party!" with the pink and green and white. Happy Birthday a little late. Although a bit unorthodox, you cake is gorgeous. Oh, I really love your cake, it's lovely, and Happy Birthday (quite late Ha Ha. I think I have the wrong blog - Can we swap? Happy Birthday! Beautiful job on your Opera Cake. Simply gorgeous! It looks lovely. I love pistachios so I am loving this too! Yum, raspberries and pistachio's. Great choice. Your cake looks great. Wow - this looks so luscious! I love the pistachios on top. Raspberries and pistachios sound delicious. jesus, i was so stupid: didnt think about this great, great combination of pistacio & raspberries. great job! 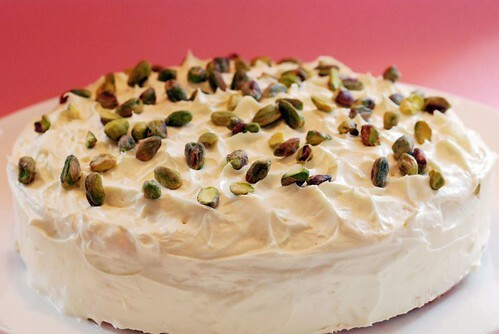 I love the addition of the pistachios on top...wonderful! Wow, this is really beautiful. Inspired combination! What a combo! Your photos are making me hungry! I agree with you about buttercream, it's generally a bit, well, buttery for me. I added strawberry to mine and it added a nice light flavor.